Clearinghouse launched in May, 2016 provides one-stop-shop for transportation education resources. 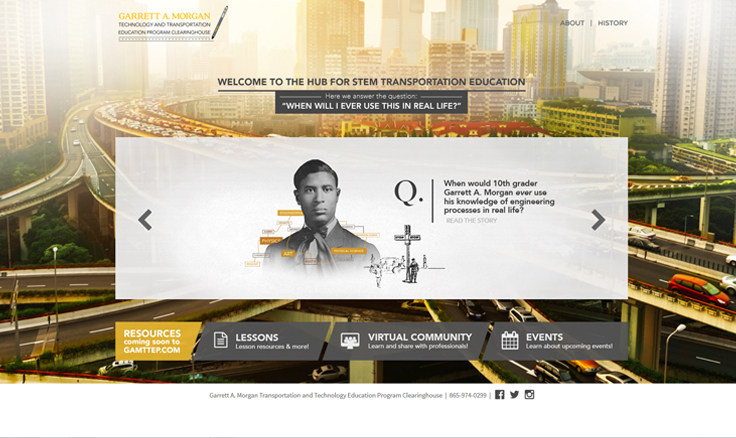 The web-based Garrett A. Morgan Technology and Transportation Education Program Clearinghouse provides a consolidated hub of resources, including instructional materials and classroom lesson plans, designed to support, enhance, and promote K-12 STEM and transportation education and outreach nationwide. 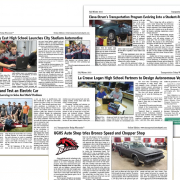 A one-stop shop for educators, students, parents, and transportation professionals, the clearinghouse is funded by the U.S. Department of Transportation through the Federal Highway Administration (FHWA) and spearheaded by Tennessee’s Knox County Schools and the University of Tennessee Center for Transportation Research. 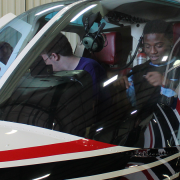 The clearinghouse features a wide variety of transportation-themed STEM instructional materials and other resources that are available for download, in most cases, free of charge. The materials were hand-picked and/or created by STEM experts and K-12 educators nationwide. The program is named for Garrett Morgan, the son of a freed slaved with a sixth grade education, who witnessed a serious accident at an intersection, and soon after filed a patent for traffic control device in 1922. Morgan patented the three-position traffic signal on November 20, 1923 at the age of 46. His invention was an improvement on the two position lights that just had stop and go. The existing lights were not very effective. They were manual lights with no warning or set interval. This meant drivers often didn’t have time to react causing collisions. Morgan’s idea was to have a warning position so oncoming traffic would know the light was about to change and give them time to react.